Sandusky County Human Resource Office only accepts applications for employment for positions that are posted. Click on position for complete description. Full-time Female Detention Officer-Juvenile Justice Center-Performs detention functions; performs intake procedures, operates and monitors electronic security equipment, supervises lock-ups, observes visitation and recreation activities, performs inspections, secures lock-downs. Part-time Financial/Administrative Coordinator-OSS Solid Waste-Perform accounts payable (e.g. purchase orders, bill entry, billing vouchers, entry in New World system); Maintain financial records, perform routine clerical tasks. Full-time Deputy Clerk-Juvenile/Probate Court-Receives and prepares various legal documents and processes filings; dockets cases; prepares journal entries; receives payments; answeres telephones and public inquiries. Intermittent Corrections Cook-Sheriff-Prepares food according to menus and standard recipes, cleans and disinfects work areas of jail, performs minor routine maintenance. Full-time Male Detention Officer-Juvenile Justice Center- Performs detention functions; performs intake procedures, operates and monitors electronic security equipment, supervises lock-ups, observes visitation and recreation activities, performs inspections, secures lock-downs. Part-time Courthouse Security Officer-Must maintain security at all times during courthouse hours to assure that the courthouse personnel, and any persons visiting the courthouse are safe. Part-time Transport Officer-Sheriff-Picks up and transports prisoners from various institutions to court or other institutions; picks up and transports prisoners from out-of-state and returns to local jurisdiction, serves legal warrants and writs, files returns and expense reports. Part-time Correctional Institution Nurse-Sheriff- Provides Professional nursing care of inmates; conducts sick call; administers medication; provides emergency care, assists medical director, performs clerical and administrative duties. 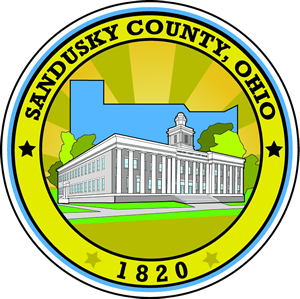 Sandusky County Human Resource Office does not catalog resumes/applications for future openings. Indidivual needed to interview, assess and determine applicant's elgibility for various governmental benefit programs. Associates' degree required, Bachelors degree prefered in social science, behaivoral scients, education or closely related field. Prior interviewing experience is helpful. Excellent organizational skills, telephone skills and computer proficiency are needed. Fluency in Spanish is helpful but not required. A valid driver license with acceptable driving record is required and candidates may have to drive personal vehicle and maintain apropriate liability limits. EOE. Excellent benefits and wages start at $14.32/hour. Send your resume to Attention: Case Manager, 2511 Countryside Drive, Suite A, Fremont, Ohio 43420. NO PHONE CALLS/EMAILS. Social Worker wanted to work with abused, neglected, and dependent children and their families. Applicants MUST have a Bachelor's Degree in Social Work, Psychology, Criminal Justice, or closely related area. Prior experience is helpful. A valid driver's license with acceptable driving record is required. The candidate may have to drive personal vehicle and must maintain required liability limits. All applicants must submit completed county application to be considered for employent. Resumes may be attached, but wil not be considered without application. Applications can be found at: http://www.sandusky-county.com/index.php?page=links. EOE. Starting pay is $14.86 to $17.52 depending on experience. Full-time position for Green Creek Township, Sandusky County Road & Zoning Employee. Work includes running equipment, lawn care, janitorial work, mechanical work, physical labor, clerical work, etc. Applicants must have a high school diploma or equivalent and experience in Microsoft Word/Excel. Qualifications include prior equipment use/experience (tractors, mower, bakhoe, snowplow etc.) and must have a class B CDL with air brake endorsement. Applicants can send a letter of qualifications or resume to: Board of Trustees, 3106 Limerick Road, Clyde, Ohio 43410. Applications must be received no later than March 1, 2019. How to Apply for a County Job? Sandusky County Human Resource Office only accepts applications for employment for positions that are currently posted. If an individual wishes to apply for a posted position, they must submit a completed application & EEO to the Sandusky County Human Resource Office by the deadline. An applicant can either download an application & EEO from this site or can visit the H.R. Office at 622 Croghan St. Fremont, Ohio. To apply, complete the attached Employment Application, save it to your local computer, attach and email the completed document to: wolfe_jaime@co.sandusky.oh.us. Please print and review Sandusky County’s Drug Free Workplace Policy prior to submitting your application for employment.